Cynthia is a professional actress, singer, & look-a-like, sound-a-like impersonator of Marilyn Monroe, Scarlett O' Hara, Loretta Lynn, and June Carter Cash (performing with an amazing Johnny Cash!) Cynthia can sing just like June, Loretta, and Marilyn, and as all four characters, she talks, acts, and moves so much like these women, that she leaves the audience breathless every time! She can mix and mingle, MC an event, or customize a performance to suit the client's needs. She is excellent with improv, with large audiences, and one on one. Throughout the event, she is always in character as she charms the crowd just as these four great women did! 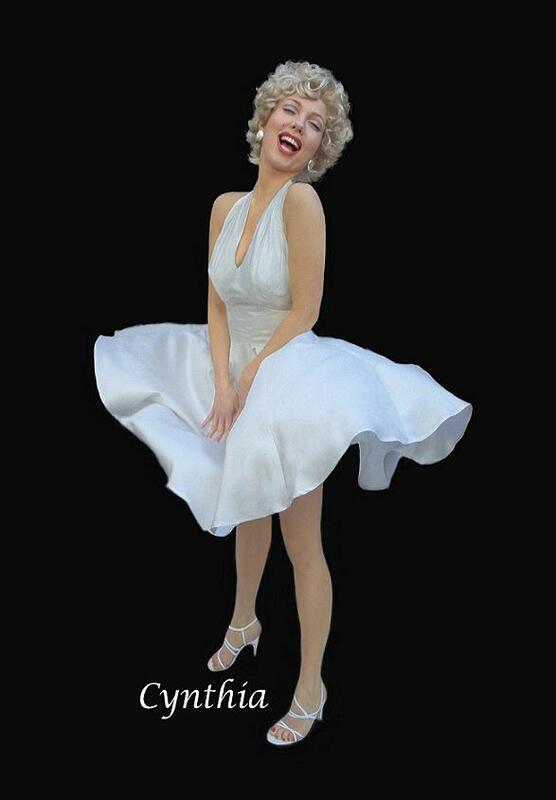 As Marilyn, she can perform alone or with a wonderful Elvis impersonator or the Rat Pack. As June, she performs with Johnny Cash Now band, or she and Johnny can perform, just the two of them. As Loretta, she can perform alone, or as part of a "Honky Tonk Angels" show with a "Dolly Parton" and a "Patsy Cline." She can perform with a live band or audio tracks. As Scarlett, she can perform "Gone With the Wind in 60 Seconds," which is a parody of the movie. She can perform scenes from the movie with a "Rhett Butler," or she can simply be the "belle of the ball" to show the guests what good ol' Southern hospitality is all about. With any character, Cynthia is sure to make your event one your guests will never forget!